Back again at one of my favourite Indian Restaurants in Glasgow, and this time I would have something other than my normal dishes. As always I was welcomed and shown to my table, which today was closer to the window so I had a nice view. Yes I did stick to ordering something different so here is what I thought. Vegetables and spices rolled in a pastry. As soon as this was on the table the smell instantly hit me and my mouth started to water, so now time to see what it was like. This was a perfect size for a starter, and was packed with flavour. If your a fan of samosa and like a little extra kick of spice, then you will like this. This is a starter I would order again. As my side to this dish I ordered chapati as I felt a naan would be too much. I have had this dish at another restaurant and really liked it, so I thought lets see how here does it. This for me was a little too spicy, don’t get me wrong it was very nice but for my palate it had too much of a kick (I normally do Korma so thats my heat level). Putting that aside the flavours were very nice, and very tasty. As always here I have a nice relaxing time, and the food is always amazing. I can’t recommend this restaurant enough, and can promise you that you will always get good service and good food every time you visit. If your a fan of Indian food then do check this place out. Back again and back to try some more food, this time I didn’t really know what to order so I decided to just randomly select a few items. Something I have not mentioned in my previous reviews is that there is music playing in the background, this is being played at a nice level which for me is good as I hate going anywhere and need to shout across the table. Today I decided to pick something random, and this was the first dish that caught my eye. On arrival I thought wow big dish but hey I can eat a lot so I didn’t mind. This was very nice and very filling, the flavour was very good. I will say I think there was a wasabi vinegar used on top of this? I could be wrong but for me it was overpowering and the flavour of the fish was slightly lost. I would get this again, but maybe ask to use a little less wasabi or whatever it was that was giving it a strong flavour for me. If your a wasabi fan then you will love this. I was recommended this at the end of my last visit to Nam Tuk, by the waitress as she said it would suit me more as I prefer sweet dishes. So today I ordered it to see how it was. I ordered this with the Egg Fried rice which I loved on my last visit. This was very very good, very nice flavours and had a nice subtle sweet taste to it which was perfect for me. What can I say so far all visits have been perfect, I have no complaints and loved trying these new dishes. 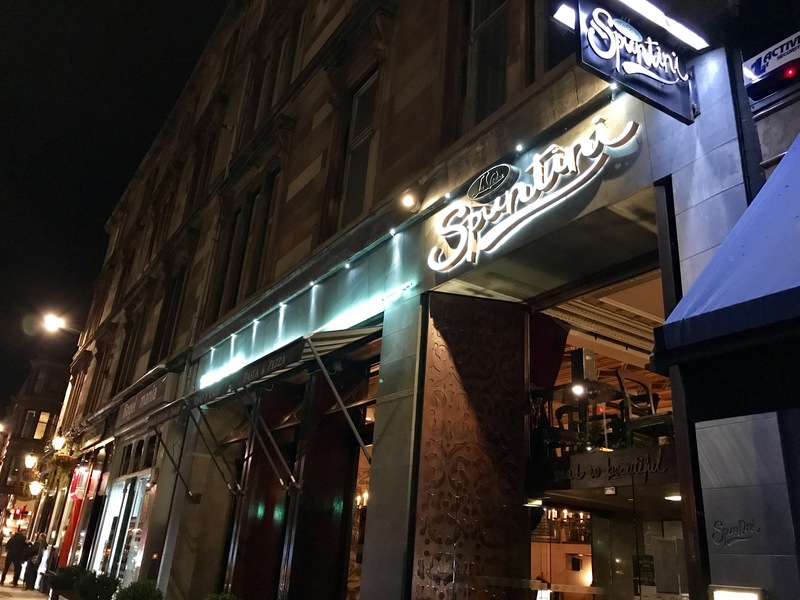 I have not tried many of the Italian restaurants in the West End, and its something I thought I would have tried by now due to my love of Italian food. Tonight was my first visit here, so here is what I thought. From the outside this restaurant looks very warm, cosy and very welcoming which is one of the reasons I tried here tonight first. On entering we were greeted and shown to a table, looking about it continued to have a really nice warm atmosphere. The decoration and style of this restaurant was very Italian, so I was happy with my choice tonight….now on to the food. Presentation and smell was very good so it was time to dig in and see how here does pizza. This was very good, the base was nice and thin the way it should be and had a nice spicy taste to it but not overpowering. I would have this again, as it was perfect and very tasty. Overall my first visit was very good, the service, staff and food were excellent. 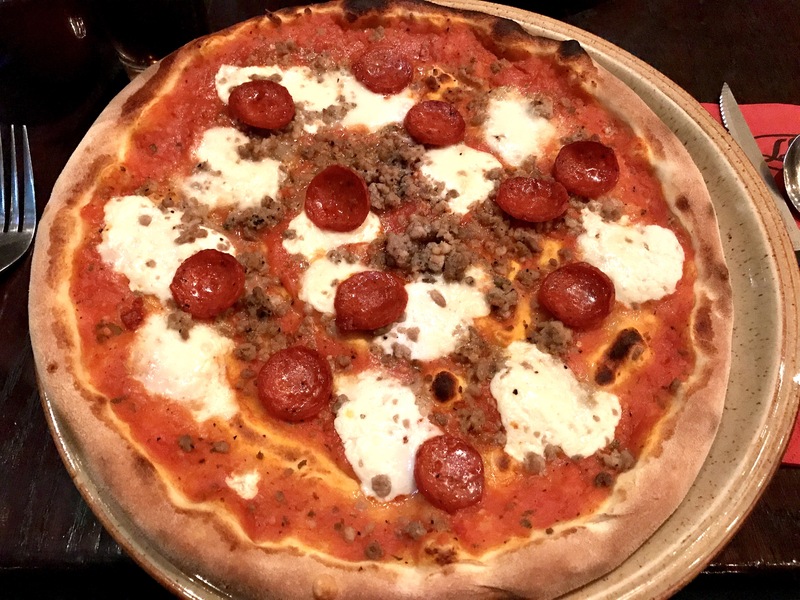 I loved how this restaurant had a nice warm and friendly look and atmosphere, plus it felt very Italian so for me a very good visit and I would return.